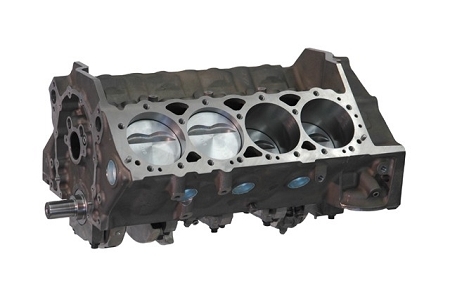 Simplify engine building and save time with pre-engineered, dyno tested short block combinations from Dart's Special High Performance group. These quality component packages are designed to allow you to build powerful and durable engines at a very affordable cost. Special High Perfomrance Dart Block (SHP). Upgrades Available: Forged 4340 Crank, H-Beam Rods & Forged Pistons. Call for upgrade pricing.